Envescent provides VoIP for less money then conventional phone service. Our solutions also scale far more efficiently. Imagine having as many incoming or outgoing calls as your business can take, and every excess call always routed to the right voicemail box when there is noone available. Voicemails can be automatically emailed to your account when you’re away from your desk for easy access from anywhere. Every voice over IP solution is customized for the client site. VoIP systems can scale as clients grow their company and volume of call traffic. The only requirement is a stable, high speed Internet connection and the desire to save on telephony costs. 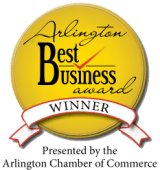 Contact us for more information about what we can do for your Arlington, Virginia small business.